Last week I shared how the spending time in the wilderness helps you find yourself. It’s why I feel so happy here in Sedona and really have no itchy feet. We leave tomorrow (Saturday), and my sadness is fleeting knowing that we’ll arrive at the Grand Canyon. From one beauty to another. These are some of the things I thought of as we enjoyed our many hikes and excursions this week. The wilderness reminds you how small you really are, yet within that smallness, how much power you hold to create. When you’re in the endless space of the wilderness, sitting on a rock high above the valley, the high rugged cliffs looming around you, you feel so small and so insignificant. To many that may not seem a good thing – to feel insignificant. But, if felt from an egoless perspective it is very powerful. It grounds and humbles you. You are but a tiny speck in the Universe. No matter what you do, the trees continue to live in the thousands, and Mother Earth keeps beating her heart and breathing. They are timeless, you are not. You and your problems are so small and insignificant. Out here in the wilderness, you can release them all. They don’t matter. All that matters is you, in your smallness, in this moment. You can find significance in the insignificance. From that small space of YOU, you can feel the infinite expanse of what is around you and know you are a part of that. Look at all that space you have to expand and grow. You really can be anyone you choose. You are supported by that space. While you are humbled, you can also recognize that you are a part of this magnificence. You are expansion and limitless potential. No matter how tiny you are, within you is magnificence and the power to grow and create and be whoever you want. As long as you maintain that humility of being so small, then your creation will be kind, expansive and help the greater good. Once we shut out the noise of our chaotic lives, we can listen to the lessons the wilderness so willingly shares. I don’t think I’ll be leaving it for some time!!! Now onto adventures in the Grand Canyon!! It’s been 12 years since I was last there. Sedona this week was a blast! 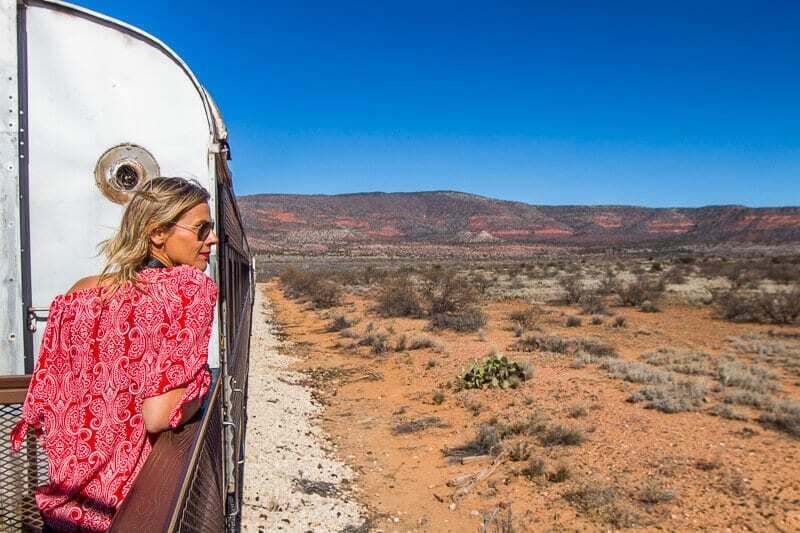 Not only did we spend our days doing more extraordinary hikes and chasing vortexes, we explored the beauty of Red Rock country in the back of a pink jeep and on an ambling train journey. 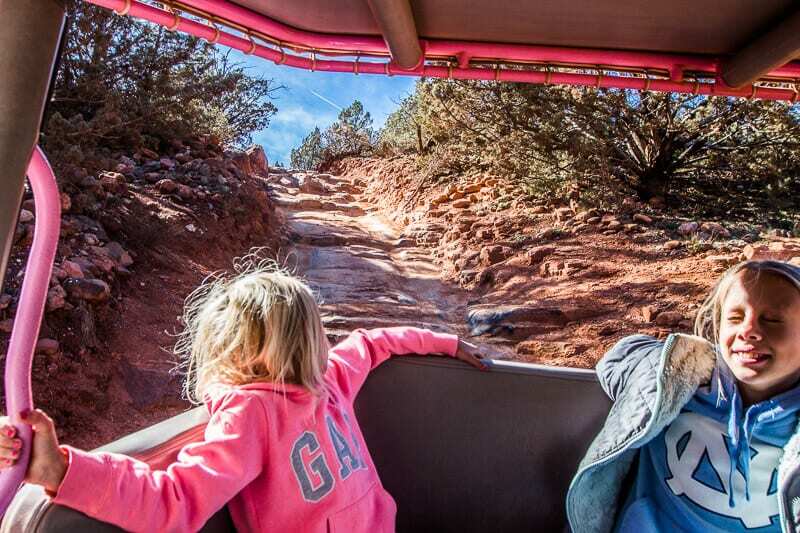 I loved watching the girls expression as the jeep took them high into the air leaning forward going down a 6 degree, then 30 degree, then 45 degree rock face. There were squeals and tremors and laughter coming from them as they held on tight. They are fun companions on this journey called life. Sedona has taught me that my normally cautious girl, really isn’t that way anymore. (except around water) Out here, Red Rock country has helped her to find her own power. She’s been the one leading us to scramble higher and further, dropping aside all fears of slippery rocks under feet and steep drop offs. Spending every day with your kids can be heard work, but its so wroth it to have the opportunity to get to know who they really are and be amazed by it. I’m not sure a normal life would give you so many opportunities for that. 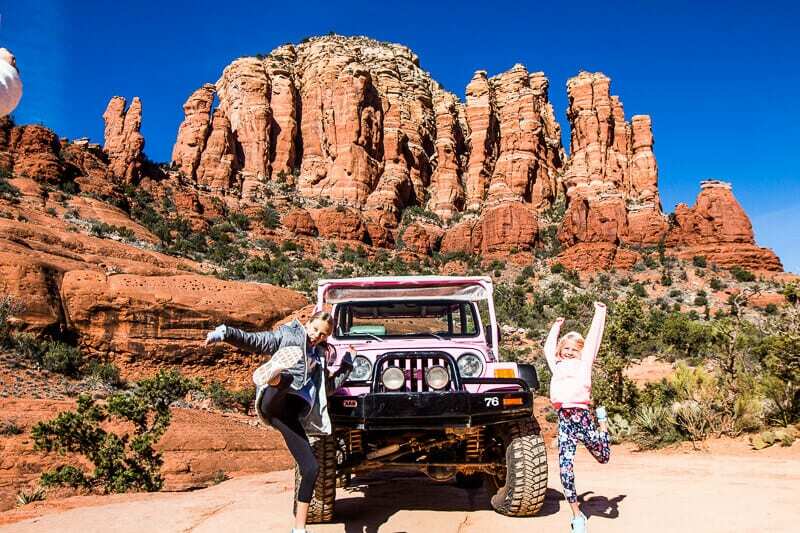 You can book your Broken Arrow Pink Jeep tour here. 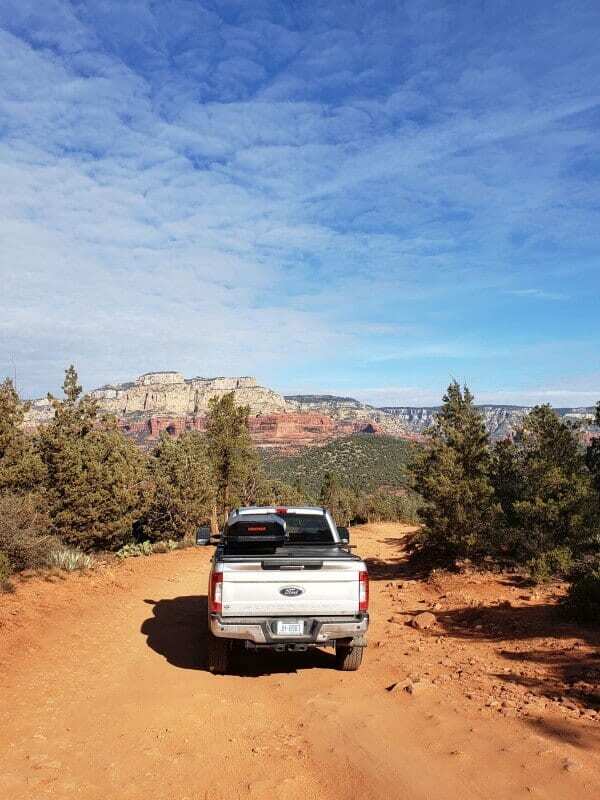 Surprisingly no one recommended the Verde Canyon Railroad to us as thing to do in Sedona. I heard about it in the visitor center and knew it was something I wanted to experience. I’ve been a long time fan of train rides after taking them to school, Uni and work all my life. Imagine a slow 40 mile return journey through an area only accessible by train? It warms my heart. Part of the reason we’re on this journey is that we can showcase the Unplugged Secrets of the USA. We did the same around Australia. We love being able to share the unique things about the regions we travel to. It is spectacular country and you can enjoy the views form the open air carriage with excellent commentary from Shu, our guide, or sit inside your carriage and relax. We’ll have an entire post sharing more on this trip. 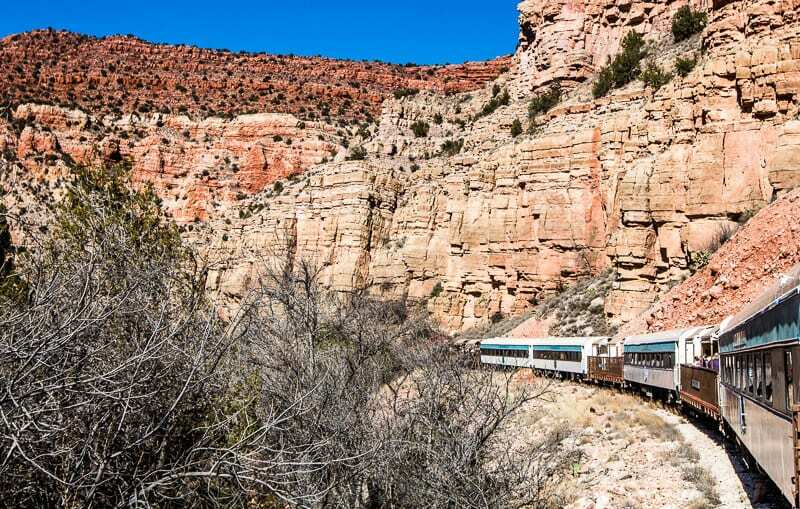 Grab your Verde Canyon Railroad ticket here. 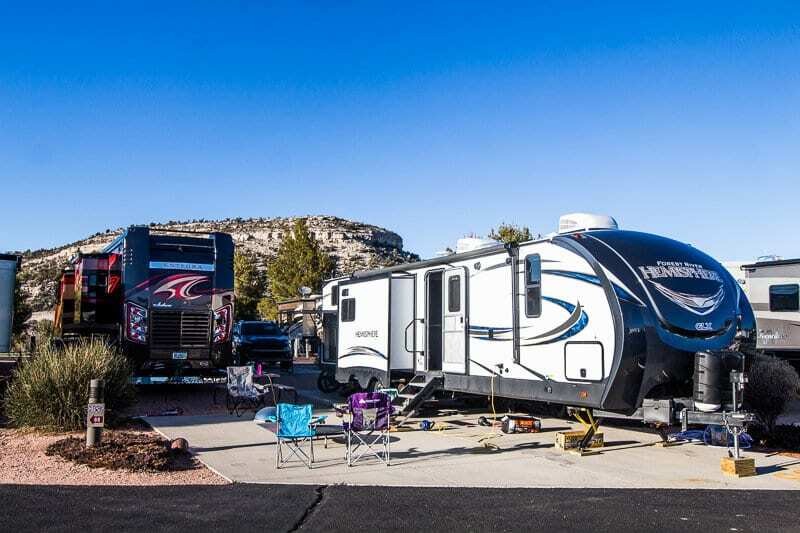 Here’s a full day tour through Get Your Guide where you can combine the trail journey with a trip to the nearby two Native American monuments of Montezuma Castle and Tuzigoot. We just can’t stop walking!! Every hike we’ve done has been incredible and we left with so many more to do on our list. I wasn’t sure we’d make it up to the top here. A short (0.7 mile) walk, but with an elevation of 600 feet. Our girls powered up refusing to let us quit. Once we got up to the saddle we had exquisite 360 views and a powerful vortex of energy to rejuvenate us! This was an easy walk up to the bridge – which is a natural arch in the rock. Even though the path is quite wide walking out on the bridge, my legs couldn’t help but shake as my mind told them – steep drop off from either side and a thin slab of rock under you!! Once again the girls lead the charge out to the rock for victory photos. 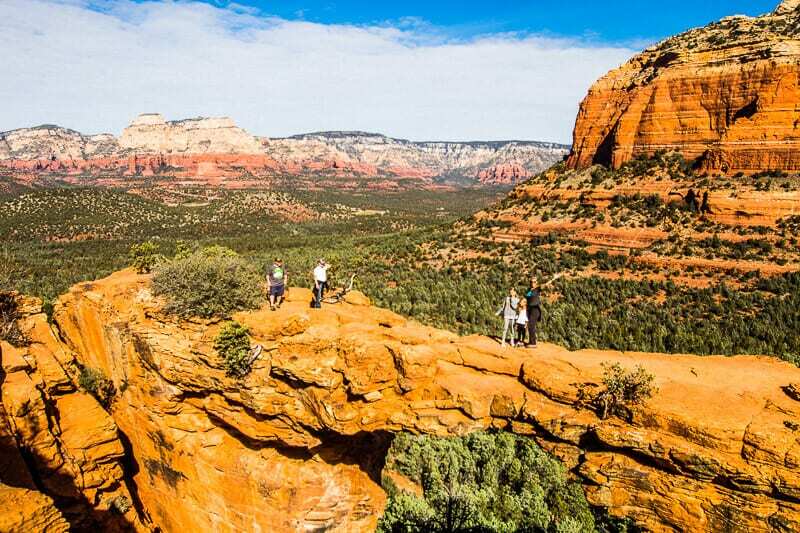 The Devil’s Bridge is well worth doing and the views are out of this world. The fun part to this journey was driving in on the 4×4 road to the car park. If you don’t have a 4×4 high clearance, you’ll have to walk it in. This was The Beast’s first go at serious off roading. She handled it and it was a lot of fun! 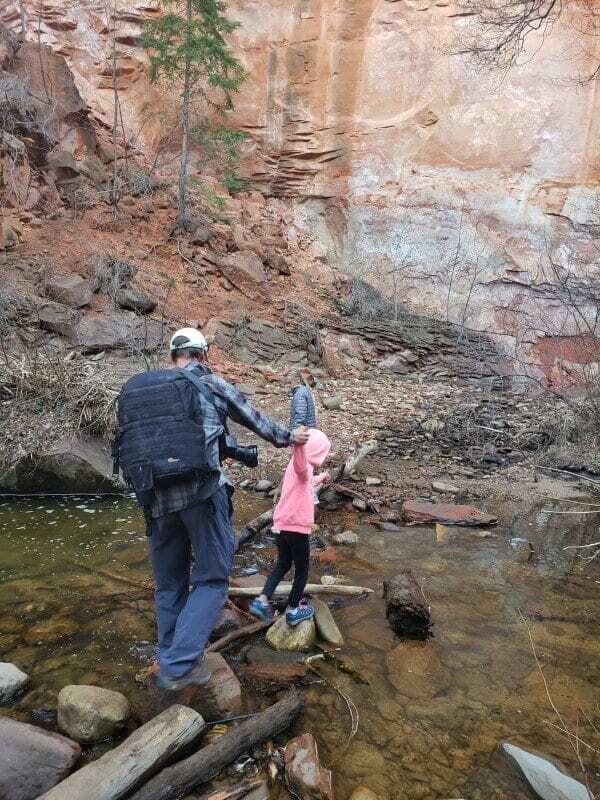 This was not as glamorous as the other hikes you can do in Sedona. But, if you want a gentle pace, especially if you have kids new to hiking, and if you want to see wildlife, this may be a great spot for you. The thrill of our time here was seeing 6 mule deer in the short distance. savannah loved identifying them with her animal foot print identikit given to us by the state park. After reading the West Fork Trail was one of the best walks in Arizona AND the USA, we set off in the afternoon for it. 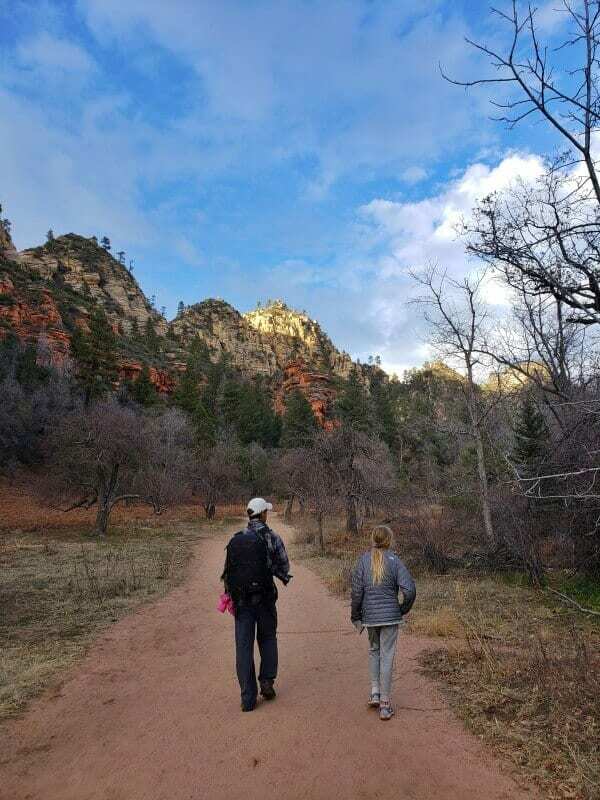 It’s an easy hiking trail for kids as it follows the creek on the canyon floor. They will love it for its 13 creek crossings. Be warned the signage is not very good along this walk – you’ll have multiple tracks to choose from! Keep following the creek and you’ll be fine. We hit a section a mile from the end that was covered in snow and ice. As we were running short on time we decided to turn back. We’ve heard the views at the end are spectacular, but we met a couple coming back who said it didn’t change too much from where we were. We enjoyed it but wouldn’t put it in the category we heard others say as one of the best! I think it would be fabulous in summer. Once again the girls stun us with what they are capable of. 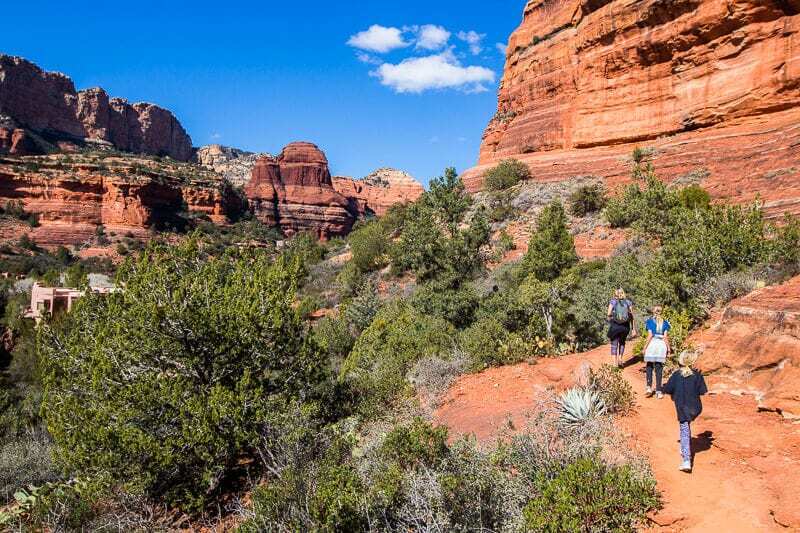 A 6 mile return hike along the canyon floor with a steep climb at the end for views along the canyon. 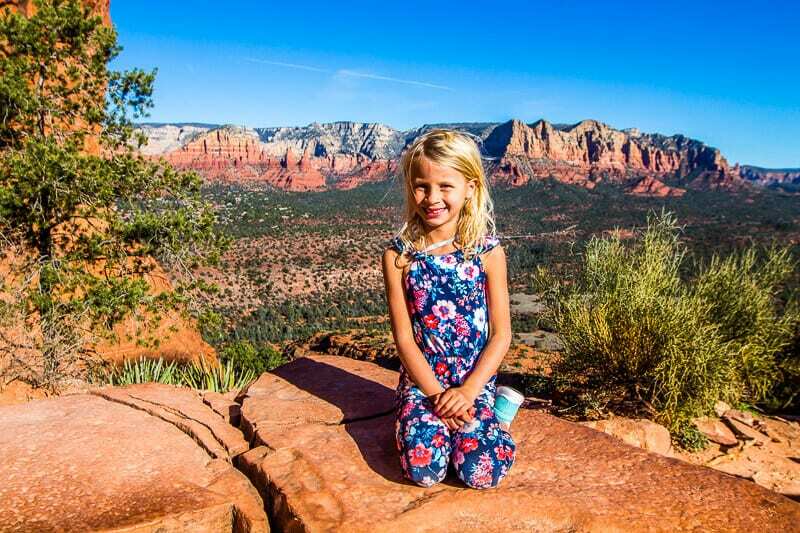 We also had a half a mile walk up to the Boynton Vortex before it which was ust beautiful I loved sitting on the rock meditating with Savannah – she is so open to this kind of thing. I was exhausted with very sore legs by the end of the hike so I can only imagine how the girls felt. They handled it so well with lots of laughter and chats and hugs between themselves. 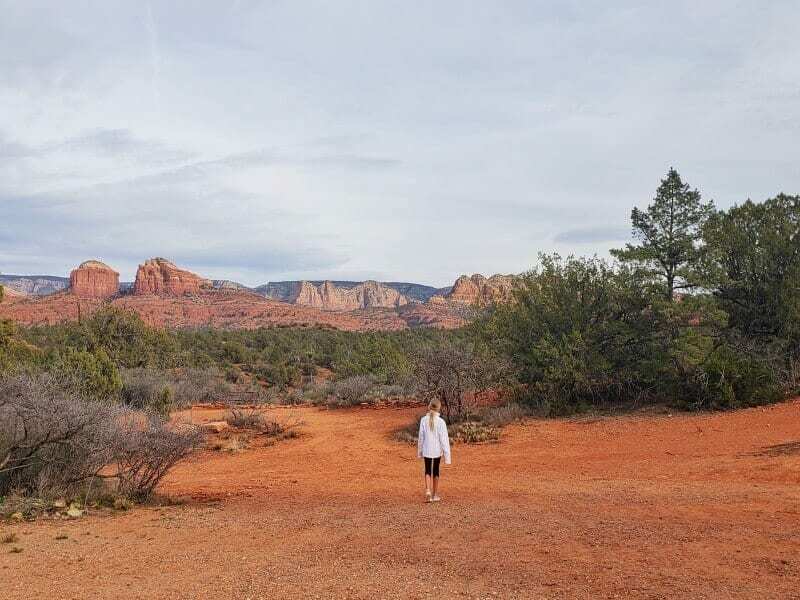 Something to think about – of all the hikes we did in Sedona, the only 4 they did not utter one word of complaint over, where the ones with the powerful vortexes!! hmmm. It’s worth mentioning this place for fantastic food in Sedona. Loads of you recommended it so we had to visit. Wor. Gorgeous views from the high windows and patio and the Mexican inspired meals were out of this world, as was the organic chardonnay. The good news is the food wasn’t overly expensive. We were impressed to come just at $100 for two appetizers, two mains, two kids meals, one dessert and a glass of wine. Be sure to come early as the wait time here can be pretty long. We stayed on at the Distant Drums is a great RV Park for another week. Although it was a 20 minute drive into Sedona, we enjoyed this park. It’s well run and very clean with all the amenities you need including a fitness center, pool, hot tub, and dog playground! And so much cheaper than staying downtown in an RV park. 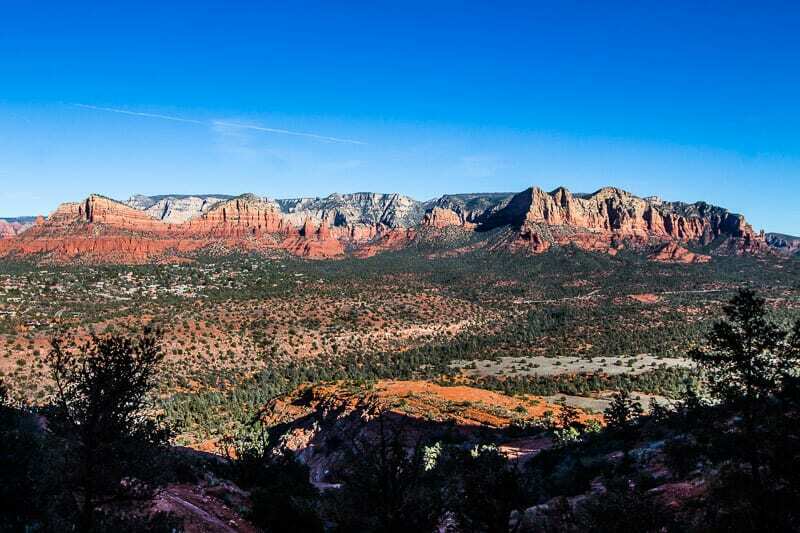 For those who are looking for Sedona hotels or apartments, check out the options through our partner, Booking.com. 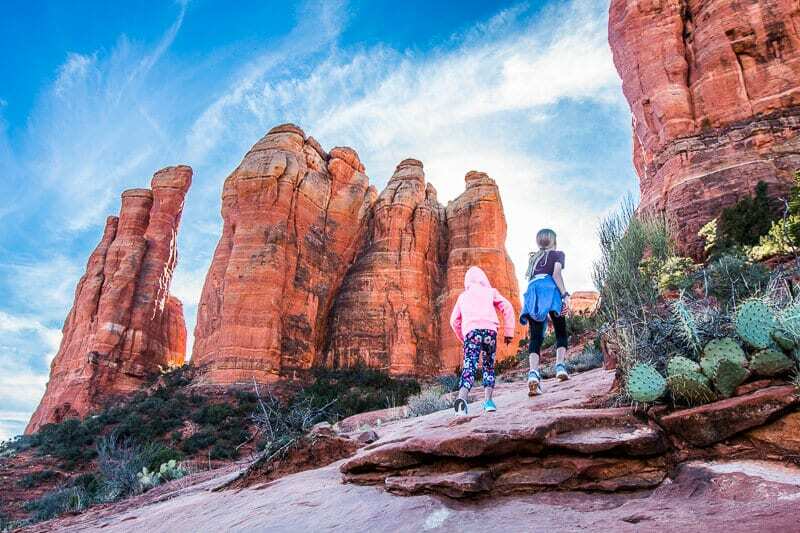 Last year, Craig and the girls stayed at Hilton Sedona Resort in Oak Village right near Bell Rock, and his family stayed at the Best Western Plus Arroyo Roble Hotel & Creekside Villas. 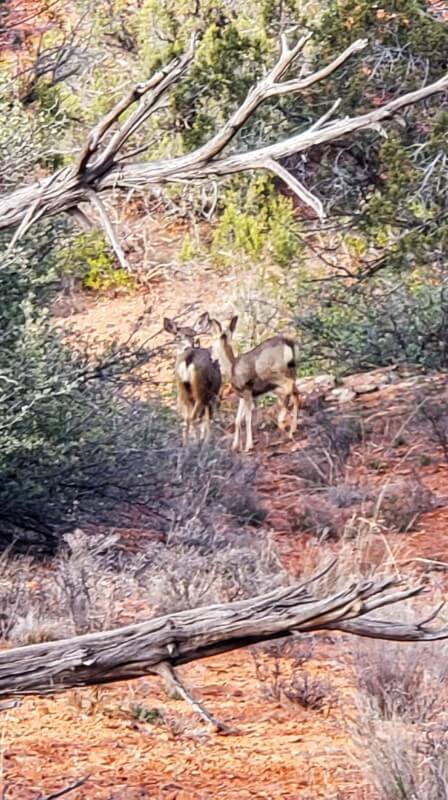 right in the center of Uptown Sedona. If you want upscale within Boynton Canyon, check out Enchantment Resort. I’d love to come back and stay here. I’ve heard great things about it – although some complaints that it’s in the canyon. I would just love to be in short walking distance to the Boynton Canyon Vortex every morning! Perfect place to meditate!! 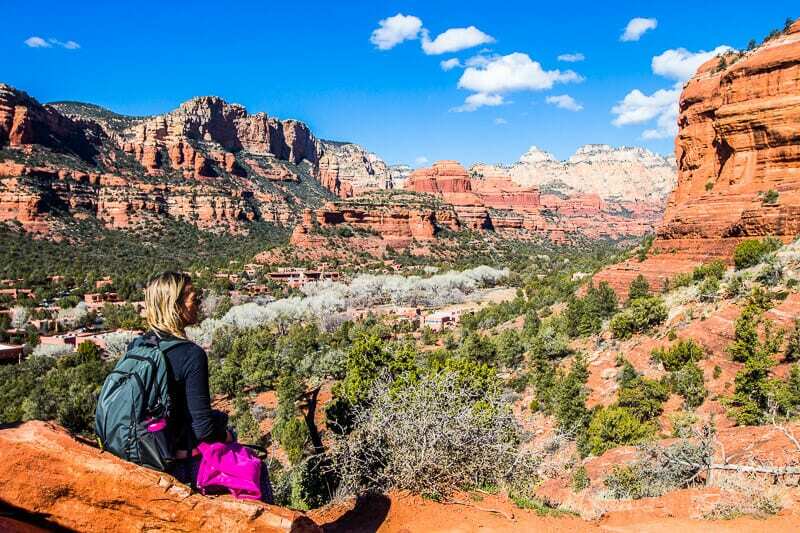 You can also check out Airbnb options for Sedona here. There are loads of unique rental homes waiting for you! Each week, I include our travel related costs for the week. I don’t include things like business costs, insurance, and souvenirs etc That’s so personal that whatever I told you wouldn’t necessarily be true for you and your budget. 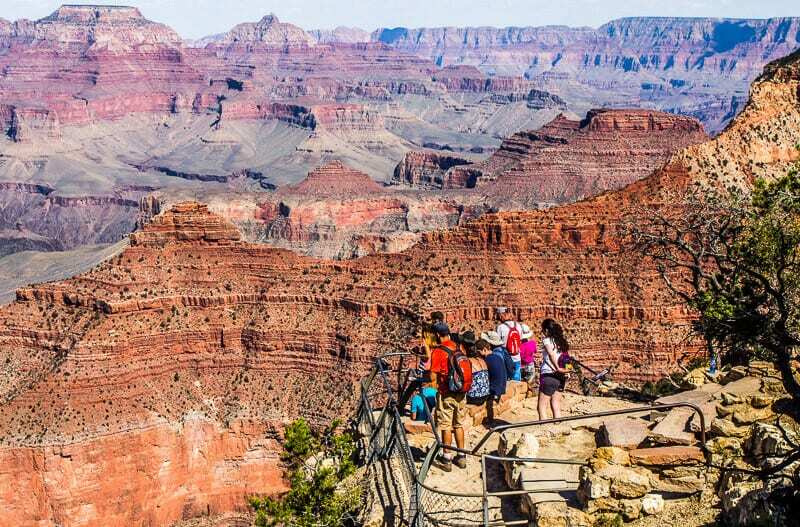 We’ll be at the Grand Canyon for 6 nights and then we’re not too sure where!! Follow our journey on Instagram as we share the behind the scenes fun of that in stories. Videos of the trip coming out soon. Here’s where we are up to with our rv road trip content!